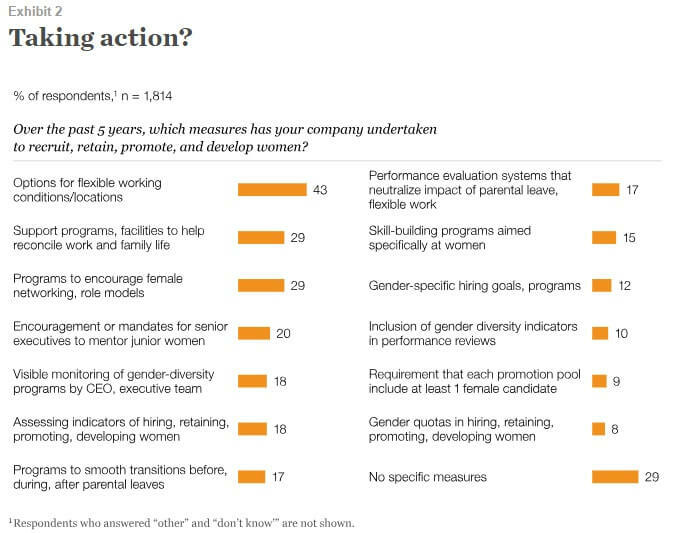 Since last year’s survey, the share of respondents who believe there is a connection between diverse leadership teams and financial success increased 12 percentage points, to 72 percent.3 And though more women than men think so (85 percent, compared with 58 percent), it is notable that a majority of men agree. 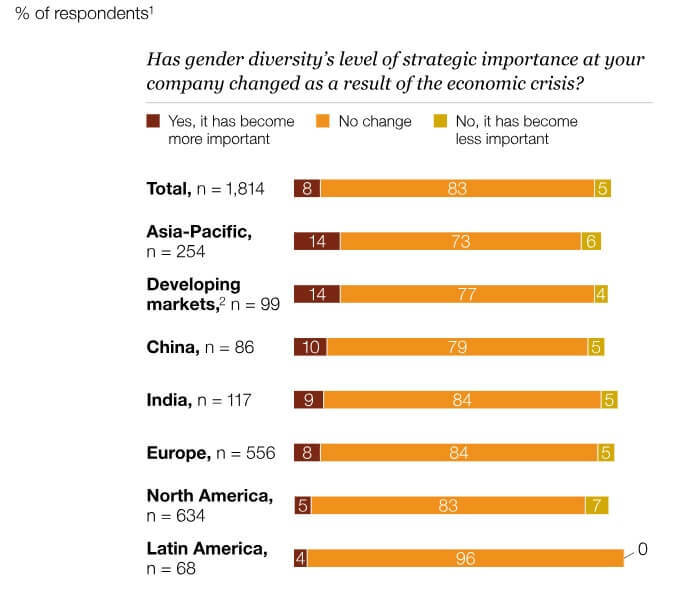 Where diversity is a higher priority, executives also report a higher share of women in their senior ranks. 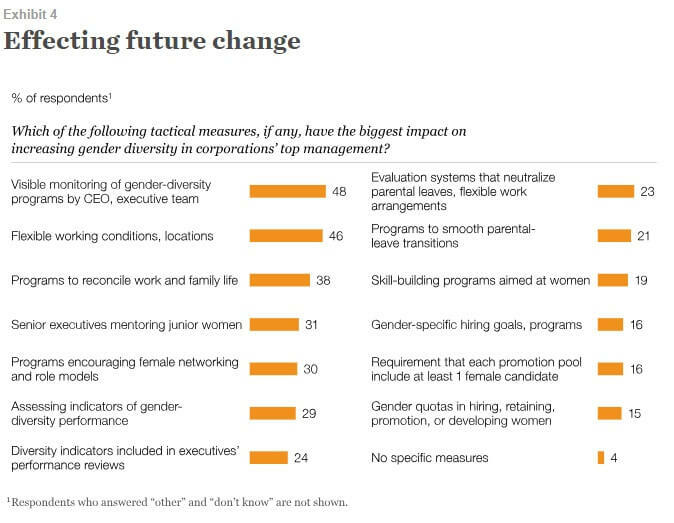 At companies where gender diversity is a top-three agenda item, for example, 87 percent of respondents report that more than 15 percent of their C-level executives are women4 ; only 64 percent of those whose companies rate diversity as a top-ten item, and 55 percent of all respondents, say the same. 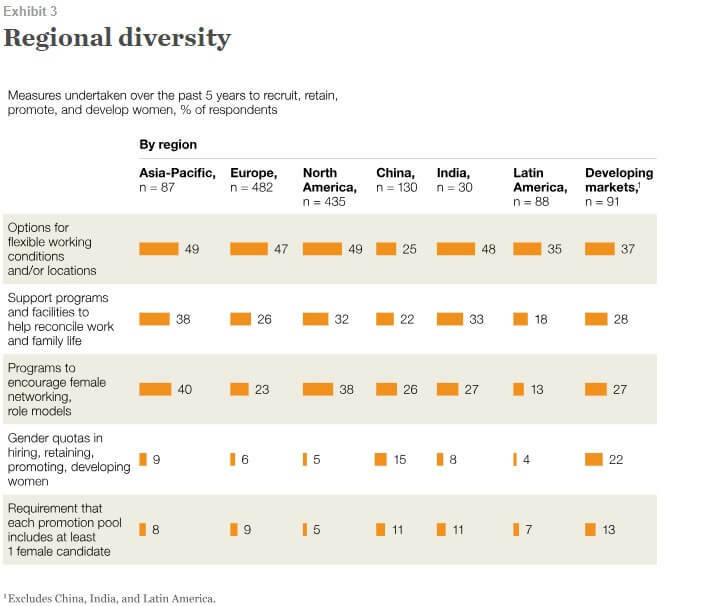 There is also some geographic variability: respondents in Asia-Pacific and developing markets are more likely to say that gender diversity is a top-ten agenda item for their companies (35 percent and 34 percent, respectively) than those in other regions.5 In Latin America, just 21 percent of respondents say their companies’ agendas include gender diversity as a top-ten item, with 27 percent of those in Europe and 28 percent of those in North America also saying so.